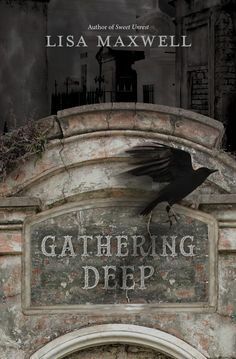 When Chloe Sabourin wakes in a dark, New Orleans cemetery with no memory of the previous days, she can hardly believe the story her friends tell her. They say Chloe was possessed by a witch named Thisbe, who had used the darkest magic to keep herself alive for over a century. They tell her that the witch is the one responsible for the unspeakable murders that nearly claimed the life of Chloe’s friend, Lucy. Most unbelievable of all, they say that Thisbe is Chloe’s own mother. As she struggles with this devastating revelation and tries to rebuilt her life, Chloe wants nothing to do with the magic that corrupted her mother…especially since she feels drawn to it. Now, a new series of ritualistic killings suggests that Thisbe is plotting again, and Chloe is drawn unwillingly back into the mystical underworld of the French Quarter. To stop Thisbe before she kills again, Chloe and her friends must learn what they can from the mysterious Mama Legba. But when her boyfriend Piers vanishes, Chloe will have to risk everything and embrace her own power to save the one person she has left… even if that means bringing down her mother.